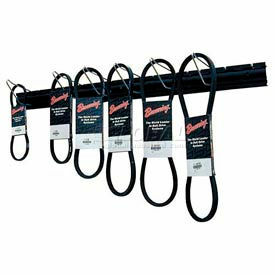 Conveniently Store V-Belts With Ease Using This V-Belt Rack. Rack includes eight 6 "L hooks for convenient storage and display of V-belts. Dividers are adjustable and removable. Bracket is pre-drilled to allow wall mounting. 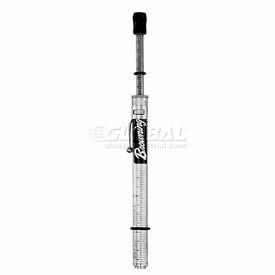 Measures 36" L.
Groove Gauge Is Designed To Help Determine Groove Wear Of Sheaves. Made using durable, impact resistant plastic. Multiple tabs determine groove wear. 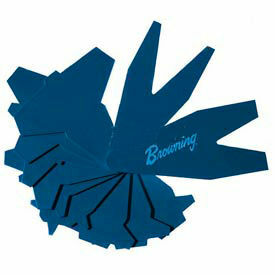 Center pin-point for easy attachment of all gauges and easy folding when not in use. V-Belt Rule Is Used To Measure The Length Of All Sizes Of V-Belts. Made using durable, lightweight aluminum. Belt rule measures all sizes of V-belts including 3L, 4L, 5L, A, B, 3V and 5V. 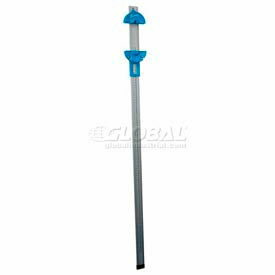 Identifies V-belt lengths up to 100" L. Includes wall mount holes. V-Belt Tension Checker Helps Indicate Tension On All V-Belt Drives. Belt tension checker indicates tension on V-belt drives including 3L, 4L, 5L, A, B, C, D, 3V, 5V and 8V. Compact, spring-loaded design. Easy-to-operate; instructions included. Adjustable for 10 to 170 belt span and up to 35 lb. tension.